May work at additional abortion clinics. See documents at lower right. 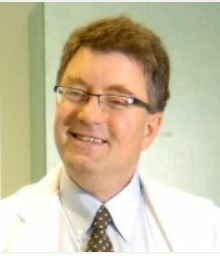 Pennsylvania medical license profile for Daniel Mark Schwartzman, MD. Expired New Jersey medical license for Daniel Mark Schwartzman, MD. Pennsylvania medical license application file for Daniel Mark Schwartzman, MD. 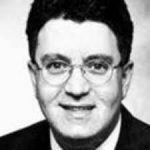 Listings for Daniel Schwartzman at Planned Parenthood abortion clinics in Warminster, Allentown, Reading, Shrewsbury, & Bethlehem, PA.
Daniel Schwartzman currently works for Planned Parenthood Keystone (in Pennsylvania), and formerly worked for Planned Parenthood of Central and Greater New Jersey. Google listing: Former practice location for Daniel Schwartzman at Shrewsbury Planned Parenthood abortion clinic. 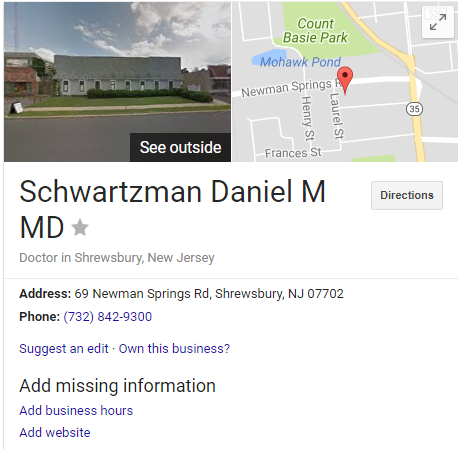 Former work address for Daniel Schwartzman at Planned Parenthood abortion clinic in Shrewsbury, NJ. Listing for Daniel Schwartzman at Allentown Planned Parenthood abortion clinic. See page 2. Listings for Daniel Schwartzman at Planned Parenthood abortion clinics in Harrisburg, Warminster, Allentown, Reiding, and York, PA.